The Federal Finance Minister recently announced changes to the minimum down payment scheme in Canada. As we discussed recently, these changes will impact would-be buyers in certain markets, but the extent to which this impacts the broader housing market and, by extension, the economy, depends on how restrictive the new scheme is in comparison to buyers’ current behaviour. Essentially, the new scheme will only have an impact if the new minimum down payment is higher than what most people are already choosing to put down. If you tell people that they have to put down at least 7.5% but they are already putting down 20%, then nothing changes. 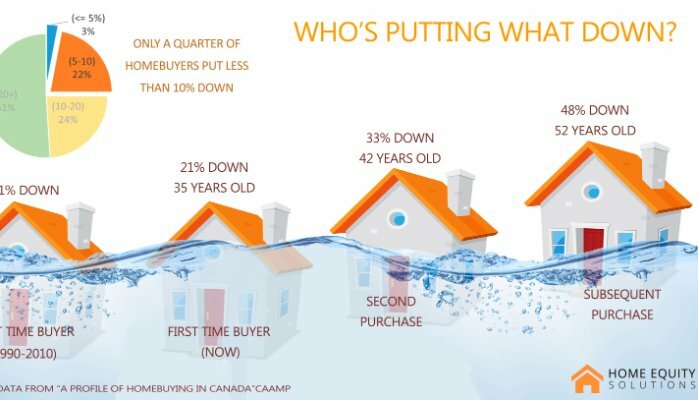 #New Down Payment Rules - Benign for Most, Painful for Some The Federal Government and the Bank of Canada continue to express concern regarding the growing level of Canadian household debt, especially in relation to more stagnant income levels. The recently announced change to minimum down payments is partially in response to this concern and represents an effort to mitigate tail risks stemming from an unlikely housing market correction. At the end of the day though, these changes are targeted to a small number of marginal buyers in certain areas. Would-be buyers looking to put down 5% for an apartment or a townhome near downtown Toronto/Vancouver or single-detached homes further out will be especially hindered. These changes will likely move some activity around temporally, as some buyers look to rush into the market sooner than they would have, but will not likely push too many buyers out of the market entirely. As such, the changes shouldn't have much of an impact on the broader housing market. However, as they have done in the past, the government could roll out a number of additional small changes as part of this risk mitigation strategy, so keep an eye on what officials are saying for more clues.